Clear adult braces are a form of orthodontic treatment that works to correct many different types of malocclusions through the use of a series of clear plastic trays called aligners. In many cases it provides an excellent treatment alternative to having traditional orthodontic braces and metal wires. 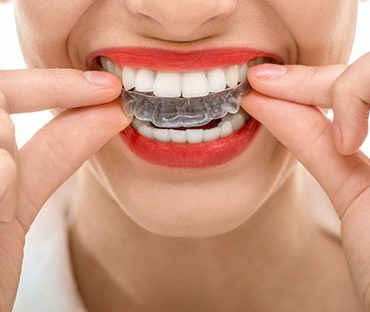 Clear adult braces utilize 3-D computer imaging technology to correct problematic bites or malocclusions by planning a complete sequence of custom-made clear aligners. This series of clear aligners, each of which is worn for a couple of weeks, incrementally move the teeth into place until the final desired corrections are reached.